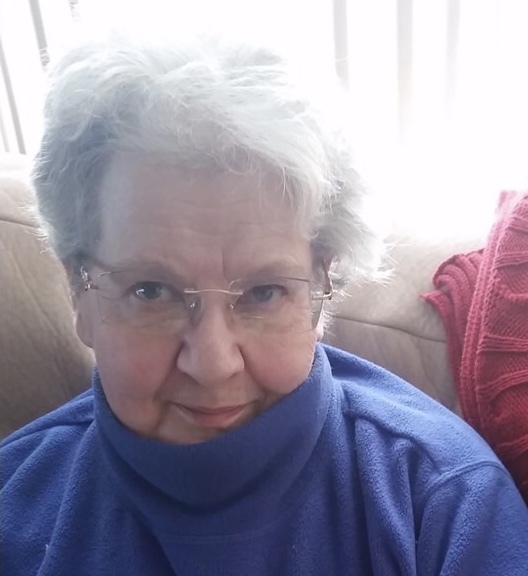 Lucy Cusson Lahey, a lifelong resident of NH, passed away on March 6, 2018 in Plymouth, NH after a strong fight against heart and lung complications. Lucy was born on August 9, 1943 to Clement and Doris Cusson in North Woodstock, NH. Her family had a strong presence in the community. Her father worked for the Lincoln Papermill and eventually built the Blue Jay Motel, now known as Inn 32. Lucy was very proud of her family’s involvement in the community as noted on the local US Post Office building that is dedicated to her parents. Lucy was also known for her love of birds, in particular the red cardinal. You could always find a picture or stuffed animal of a cardinal around her in the house and sometimes the real deal outside on the bird feeder. She also had an affinity for genealogy and loved researching the lineage of her family. Many people knew Lucy as a local hairdresser. She worked out of her house known as Lucy’s Beauty Shoppe. Her children spent many hours spinning in circles on her salon chairs or jumping under a hair dryer chair even when their hair wasn’t wet. She was later known as the “nice” lunch lady at Plymouth Regional High School and very much loved helping out and talking with all the school kids. Lucy is survived by her longtime companion, Gary Lane. Lucy and Gary met at a hand-held CB Radio club, the smartphone of choice in those days. Lucy, better known as Mom, Mommy, or Mumma by her 5 children, John Lahey of Mount Vernon, Washington, Anthony Lewis-Lahey of Oxford, NJ, David Lahey of Newark, DE, Heather Lane Lymburner of New Windsor, NY and Andrea Norton of Arizona. Lucy also has 9 grandchildren, Joey, Danielle, Mason, AJ, Justin, Shannan, Samantha, Oliver and Cadence as well as 3 great grandchildren, Louisa-Kay, Gulianna and Joseph. Mom will always be remembered by her family for her warm heart, selflessness, and being humble. She was very soft spoken but always quick to teach her kids right from wrong, good vs. bad. Lucy was a very loving and gentle person who will be sorely missed. Her life will be celebrated on Wednesday March 21, 2018 from 5-8pm at the Common Man Inn, Plymouth, NH. In lieu of flowers, memorial gifts can be made in Lucy’s name to: NH Humane Society 1305 Meredith Center Road, Laconia, NH 03246 or www.nhhumane.org. Arrangements are by Fournier-Hale Funeral Home, 144 Main Street, No. Woodstock, NH 03262. Online guestbook at www.fournier-hale.com.